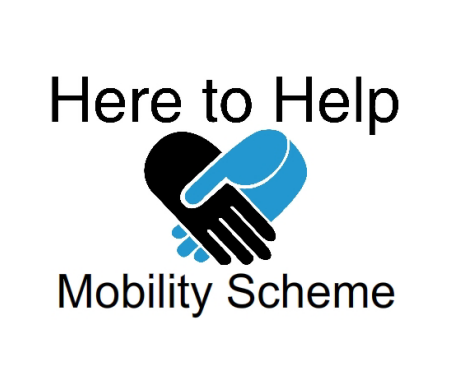 We're always happy to help, and look forward to helping you make decisions regarding your/your client's mobility. There are no silly questions. If it's important to you, it's important to us. We'd love to hear from you. Go on, drop us a line. Better Mobility is a trading style of Better Mobility Limited. 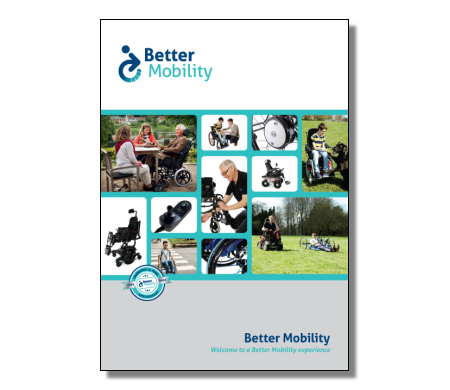 Better Mobility Ltd is Registered in England and Wales, Company Number 06344317. Registered Office: 4 Claridge Court, Lower Kings Road, Berkhamsted, Hertfordshire, HP4 2AF. Better Mobility Limited are committed to protecting your privacy and we comply with the Data Protection laws applicable to the UK. We monitor web site traffic patterns and usage to help us determine which aspects are of most importance to you and to develop the web site design and its layout. We may also use the information we collect, occasionally, to tell you about our progress and changes to Better Mobility Limited web sites. 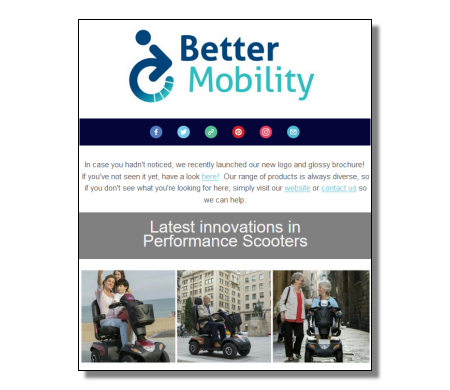 If you would rather not receive this information, please indicate your wishes when submitting on-line forms or you may send an e-mail to sales@bettermobility.co.uk. This notice sets out the personal information held by Better Mobility Limited about individual Purchasers and company contacts, the purposes for which such information is held, the uses to which it may be put and the parties to whom it may be disclosed. By submitting forms on this website you are agreeing to this processing of your data. We will hold the contact details you provide through the website to fulfil any order you place, to administer and tailor further transactions with you and to bring to your attention any special offers, new products or services which we believe may interest you. We will only use your information for marketing purposes if you actively subscribe to our newsletters or opt in upon ordering or enquiring online or. This web site sets temporary "Session" cookies, essential for the operation of the web site which are used to 'remember' session specific information only during the time that a user is using the web site. These cookies are deleted when you close your browser. No personally identifiable information is stored in these cookies once you have closed your browser and your browser has cleared it's cache. These are 'Category 1' cookies within European legislation. We allow visitors to our website to bookmark and share content via a number of bookmarking and social media sites like Facebook, LinkedIn and Twitter through a service called AddThis. Visitors can choose to use this service and, when this is used, AddThis sets cookies in the visitors' web browser. Cookies do lots of different jobs,like letting you navigate between pages efficiently, remembering your preferences, and generally improve your web site experience. They can also help to ensure that adverts you see online are more relevant to you and your interests. These cookies collect information about how visitors use a website, for instance which pages visitors go to most often, and if they get error messages from web pages. These cookies don't collect information that identifies a visitor. All information these cookies collect is aggregated and therefore anonymous. We use these cookies to help us to improve how our website is found and works.